According to the Celtic Tree Calendar, Blackthorn is the tree representing the beginning of Samhain, 31st October. Although it is not a birth tree, it has special meaning for anyone having been born on that day. The Blackthorn ogham is called "straif" which means cheiftain tree. Blackthorn is regarded by many as a tree of death, and that is quite so as in being the death of an old year, as Samhain is the end of the Celtic calender year. 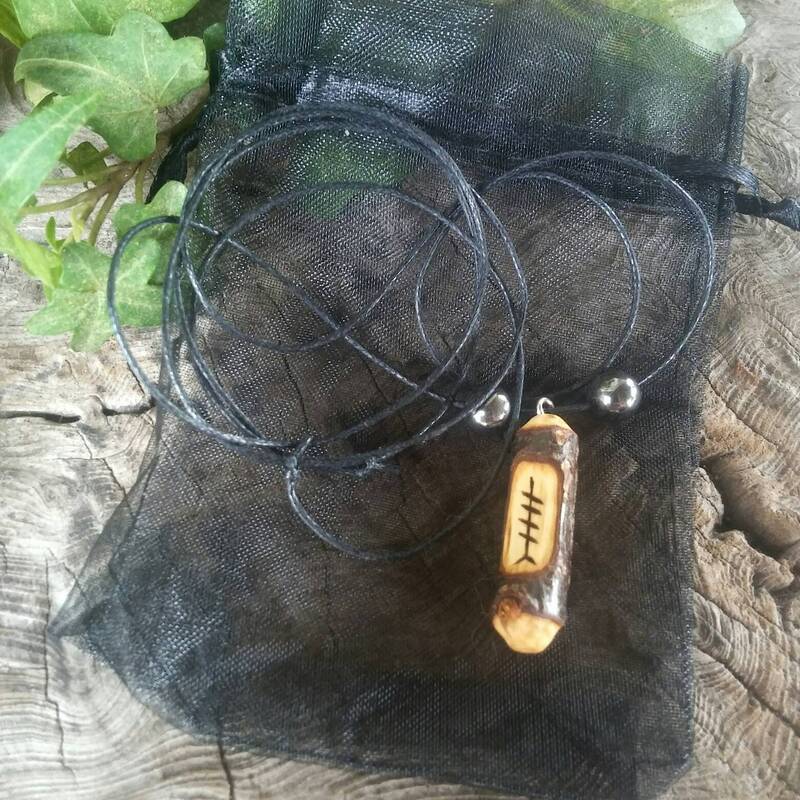 Blackthorn is used for purification, as well as protection, ridding the atmosphere of negative energy and that is what makes this a unique talisman pendant. It deals the issues on a Karmic level, which cannot be avoided. 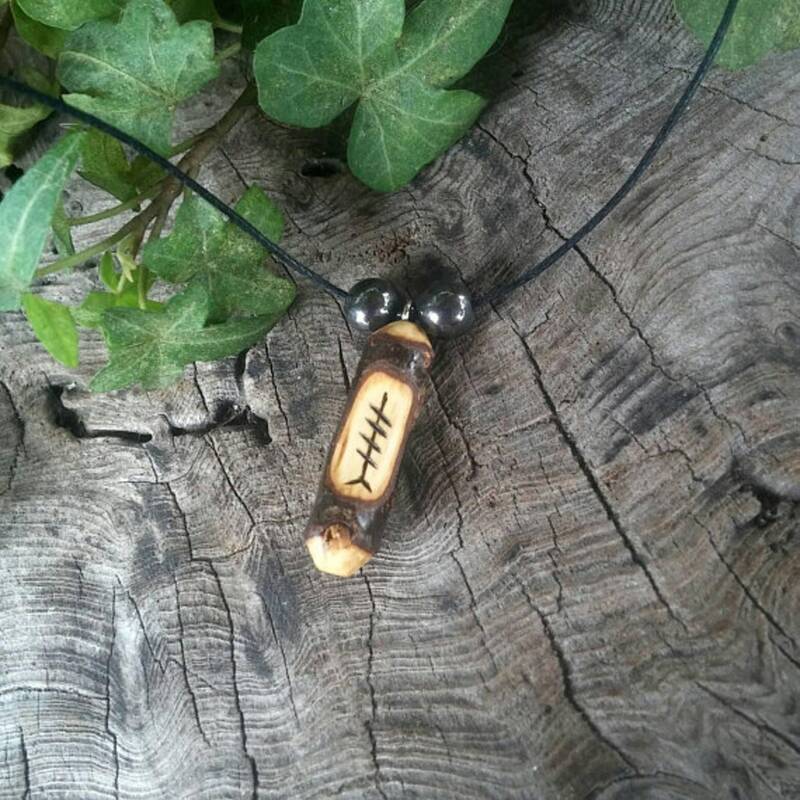 Meditating on a Blackthorn talisman can purify our minds of negative thoughts. In witchcraft magic, often Blackthorn wands are called a “blasting rod” for the power is so intense. 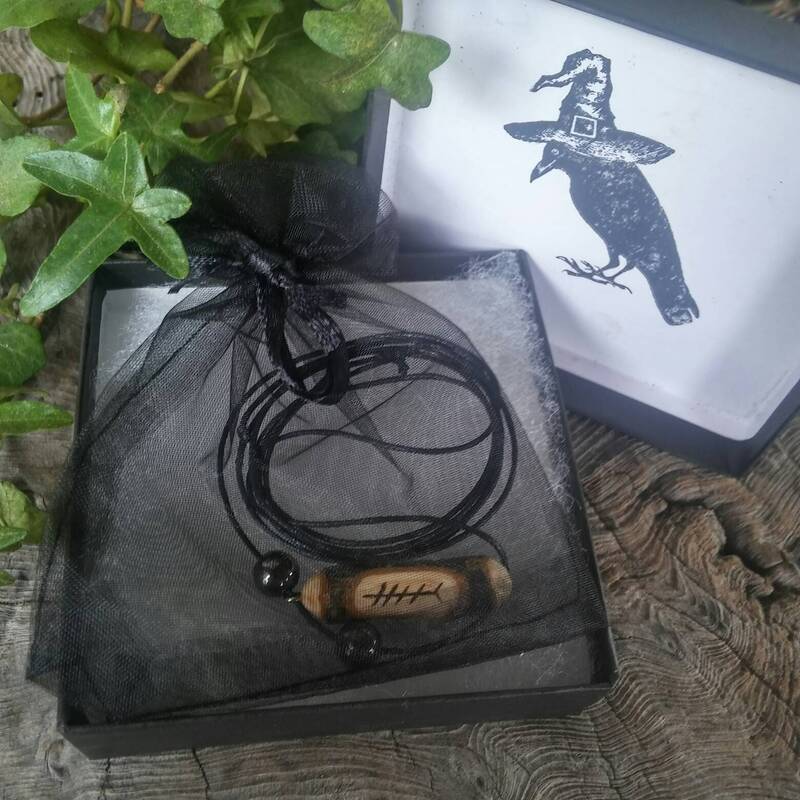 The Blackthorn pendant is about 1-1/2 inches long and carved to look like an ogham stave with straif pyrographed upon it. 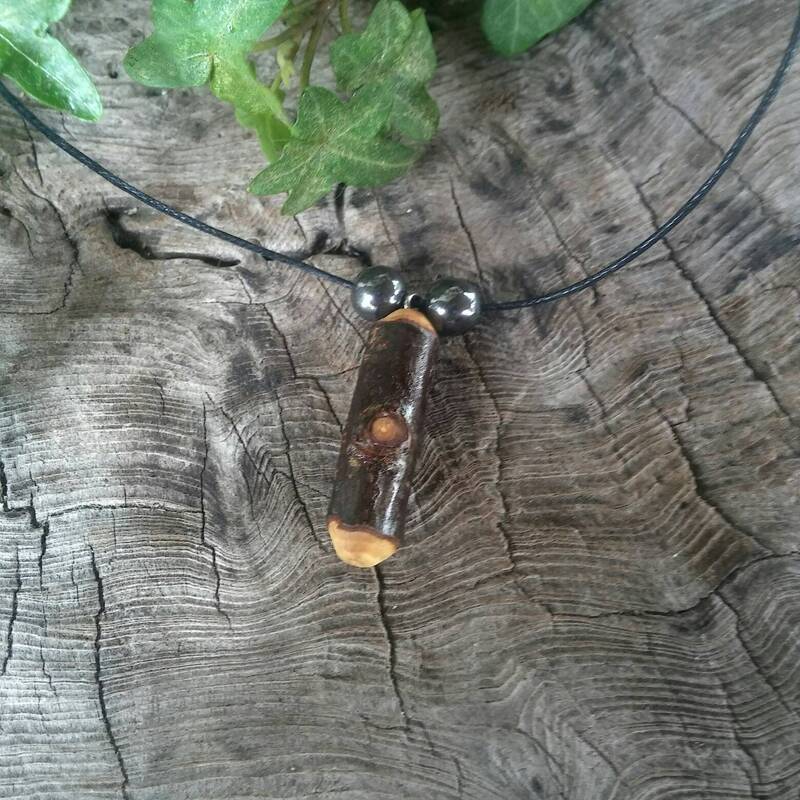 It has been oiled with linseed oil and polished with our Speaking of Witch Wands Beeswax Wand Polish. 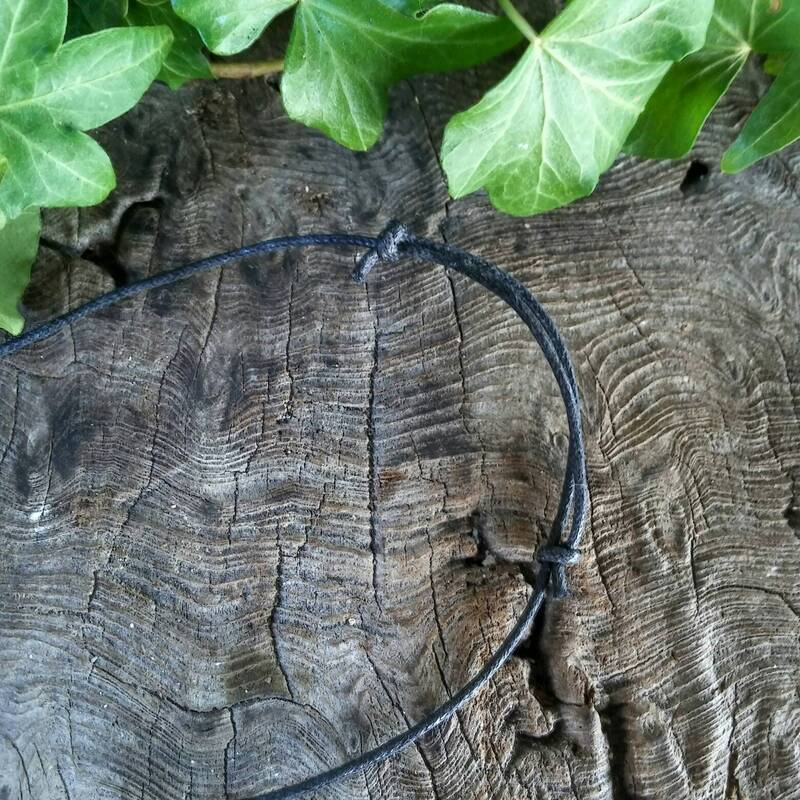 It is then strung onto an adjustable black waxed cord necklace with grounding beads of Haemitite on either side. 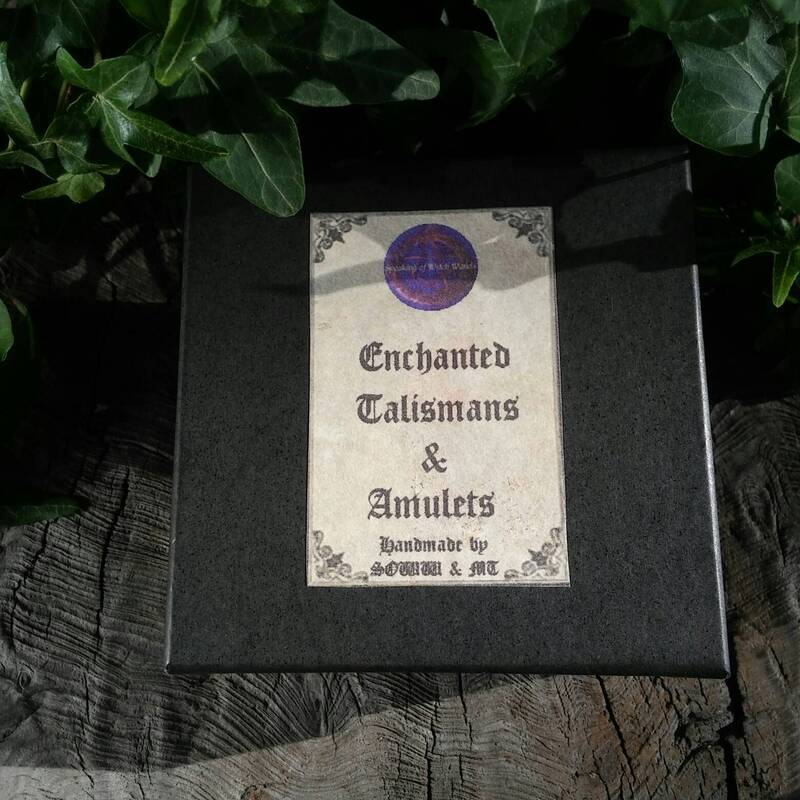 Please visit our Talisman section http://etsy.me/2eVsRRP for our entire talisman range.